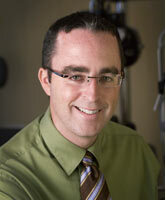 Dr. Shawn Burns practices in both our Stratford and Bridgeport offices. Dr. Burns received his doctorate from the New England College of Optometry in 1999. He also obtained a degree in Chemistry from Dalhousie University in Nova Scotia, Canada in 1995. 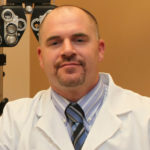 In April 2008, Dr. Burns joined Family Vision Center. Dr. Burns enjoys seeing patients of all ages. He says, “One of my favorite things about Family Vision Center would have to be taking care of patients of all ages. At FVC, we see many patients who bring their family members and friends to our practice for their eyecare. Being able to connect with these people on both a professional and personal level as well as seeing family members grow up and continue to see us for their eyecare is probably the best part of my day.” When not in the office, Dr. Burns loves spending time with his family outside, as well as playing golf, hockey and tennis. He lives in Milford with his wife and 2 daughters. 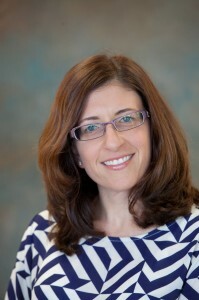 Dr. Helen Ambizas works part-time in the Bridgeport office. She has been with Family Vision Center since September 2008 and received her optometric degrees from the New England College of Optometry. She completed her B.S. in Biology at Binghamton University in upstate New York. Dr. Ambizas understands that every patient has different visual demands placed upon them throughout the day and offers solutions that are unique to each patient and their lifestyle. She says, “My favorite part of working at FVC is diagnosing and treating eye disease. We treat many ocular diseases, some common and others quite rare. Helping patients see better, and without discomfort is something I take pride in.” Dr. Ambizas lives in Milford with her husband and two daughters. She enjoys practicing yoga and enjoys many outdoor activities with her family. Dr. Sean West practices in both our Stratford and Bridgeport offices. Dr. West obtained a B.S. in Biology at California State University and a doctorate from Illinois College of Optometry, in Chicago. He has been with Family Vision Center since 2010. Dr. West enjoys practicing optometry with all of the latest diagnostic equipment that Family Vision Center provides. He also enjoys Family Vision Center’s friendly environment and great staff. Dr. West is a certified Orthokeratology practitioner. Ortho-K, also known as Corneal Refractive Therapy (CRT), is the process of reshaping the cornea to correct for nearsightedness by wearing contacts. Dr. Sean West looks forward to working with you to meet your and your family’s needs. He provides routine eye examinations for all ages alongside the specialty care examination as well as annual eye examinations. In his time outside work, Dr. Sean West, enjoys exercising and spending time with his wife and 2 children. He coaches his children’s baseball team and enjoys playing golf and baseball himself. Dr. Lauren Plass does comprehensive eye exams and contact lens fittings in our Stratford and Bridgeport offices. She has a special interest in treating and managing eye diseases such as macular degeneration and glaucoma. 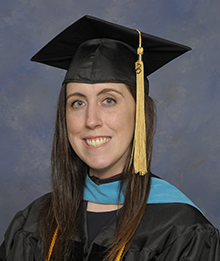 Dr. Plass received her doctorate of optometry from NOVA Southeastern University in Ft. Lauderdale, FL and her Bachelors of Science, Biology and Chemistry from Missouri State University. 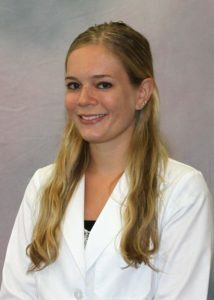 Dr. Plass also completed her residency in Ocular Disease at the Newington V.A. Hospital. She has been working at Family Vision Center since June 2017. Dr. Plass says that she “enjoys being able to examine and treat patient’s eyes of all ages across the spectrum here at FVC. It’s also nice to have the technology we need to be able to diagnose and manage conditions, not every office is able to provide that.” When not at work Dr. Plass enjoys traveling, as well as skiing and playing tennis. Dr. Plass also is interested in art, specifically ceramics and painting. 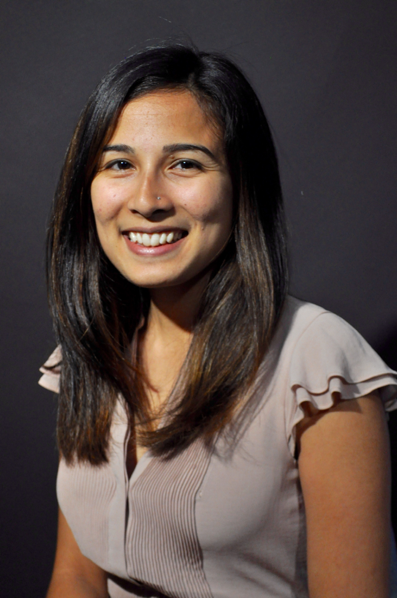 Dr Kim Raucci is an Optometrist who practices in both our Bridgeport and Stratford locations. Dr. Raucci received a Bachelors in History from University of Connecticut in 2012, and recently, a Doctor of Optometry from MCPHS University in 2018. Her favorite part of her job is “giving the gift of sight” she loves “seeing kids get their first pair of glasses”. When she is not working, Dr. Raucci enjoys watching horse racing, watching movies and TV, cooking, and travelling. Dr. Raucci puts the “Family” in Family Vision Center as she is the granddaughter of our founder, Dr. Michael Gorman. Dr. Harsida Desai practices in our both our Stratford and Bridgeport offices. Dr. Desai received her undergraduate degree in Biology at UCONN, Storrs. She then went to Optometry School at the SUNY College of Optometry and graduated in 2017. While she was in school she participated in optometry mission trips to both San Juan Del Sur, Nicaragua and Negril, Jamaica. After optometry school, Dr. Desai completed a residency in Ocular Disease and low Vision Rehabilitation at the West Haven Veterans Hospital. At Family Vision Center, Dr. Desai will be conducting routine, medical, and contact lens examinations to “improve the vision and ultimately quality of life of my patients”. Her hobbies include spending time outdoors, exploring new restaurants and cafes and traveling.